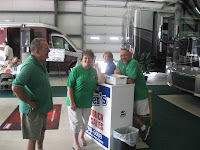 On Friday July 25 we moved our motorhome from Maumee State Park to Delta, Ohio for the annual “show and tell “at Shafer’s, the dealer where we bought our motorhome in 2006. On the way we had to stop at Freightliner in Toledo for a recall. They took care of us in an efficient manner. 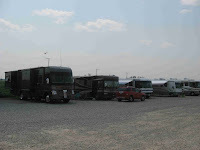 We arrived in Delta in the early afternoon, and many coaches followed. We counted 9 in total, so we had a nice crowd. 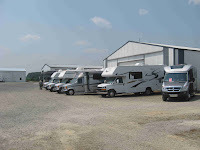 Shafer RV was having an open house on Saturday and Sunday. 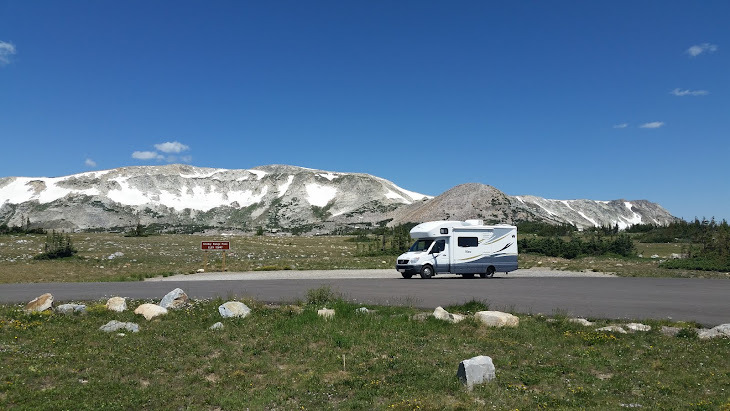 Our Winnebago club is sponsored by the dealer, and in return we help them out with serving the refreshment and sharing our experiences with future Winnebago owners. The ice cream machine is always a hit. We volunteered to be wagon masters for this weekend, and we had some additional duties. We drove to Archbold to find a farm stand and bought 65 ears of fresh corn. We did not have the right equipment to cook this in the usual manner. 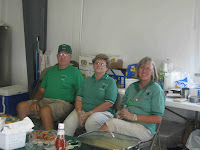 Thanks to Diane and Chuck, the corn was done right on time and delicious, but it caused some stress. We cooked lots of baked potatoes, and as is tradition, the Shafer family provided us with the steaks. We had a great dinner. 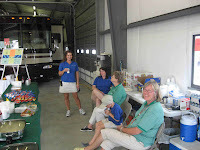 At night we sat around the motorhomes and exchanged stories all about our travels. On Sunday afternoon we all left after a great weekend get together. 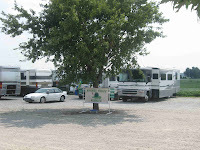 While at Maumee Bay State Park, we made a trip to Elmore, Ohio to visit the Schedel Arboretum and Gardens. This was formerly the private residence of a couple very much into gardening and travel. In 1991 it was opened to the public after the property was acquired from the estate by a newly formed foundation. The gardens are in wonderful condition and luckily for us, they were at the height of bloom. There were many staff and volunteers busy tending to the gardens needs. I hope these pictures speak for themselves. 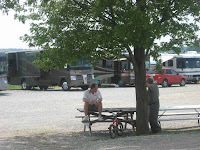 We spent a relaxing 10 days at Maumee State Park on the east side of Toledo. 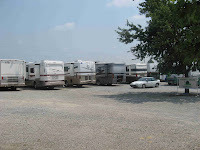 This park is located at the shore of Lake Erie and has a large area devoted to recreation and preservation of natural resources. There are also lots of opportunities for biking and hiking. Our first weekend in the park happened to be kite weekend and we were happy to take part. There was a good turnout and a reasonable amount of wind. 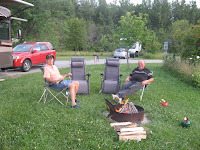 Between the kite flying and bike riding we managed to meet with some friends for lunch and have a dinner around the campfire with other friends. This was great fun but required us to brave the one truly large negative of this park-many mosquitoes! 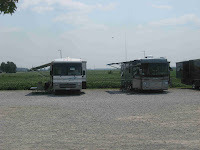 Since there were many days of very hot and humid weather, we also spent a lot of time just relaxing in the coach. Oh yes and we found a new Ice Cream establishment, very nice.